Oi! 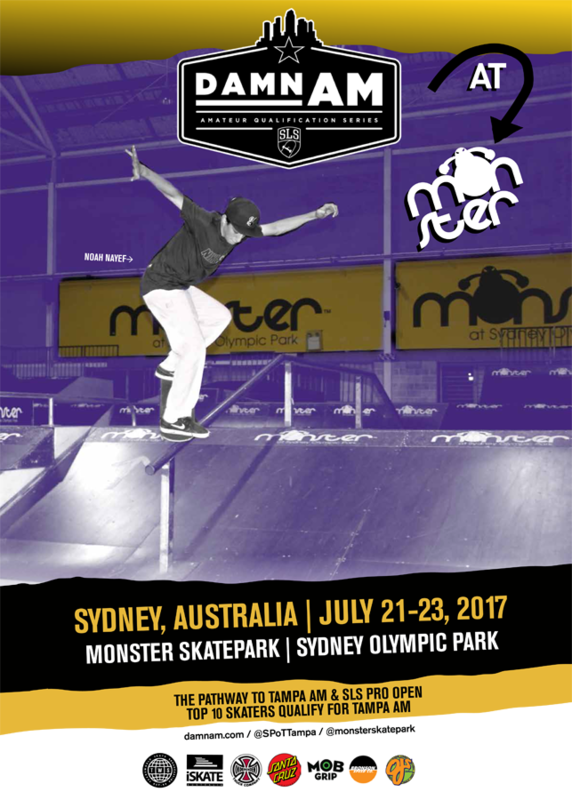 In conjunction with Monster Skatepark, we are hyped to announce that for the first time ever, the Damn Am is headed to Australia. That’s right mates, we’re goin’ down under! On July 21-23 we’ll be doing it up at Monster Skatepark in Sydney, where the top 10 skaters will qualify to Tampa Am and the winner will get a spot in the Semi-Finals. We’ve got plenty more stops in the works so check in at DamnAm.com over the next couple weeks for updates.